A quote from a Twitter account using Kurt Russell’s face for its profile picture has become attributed to the actor himself. 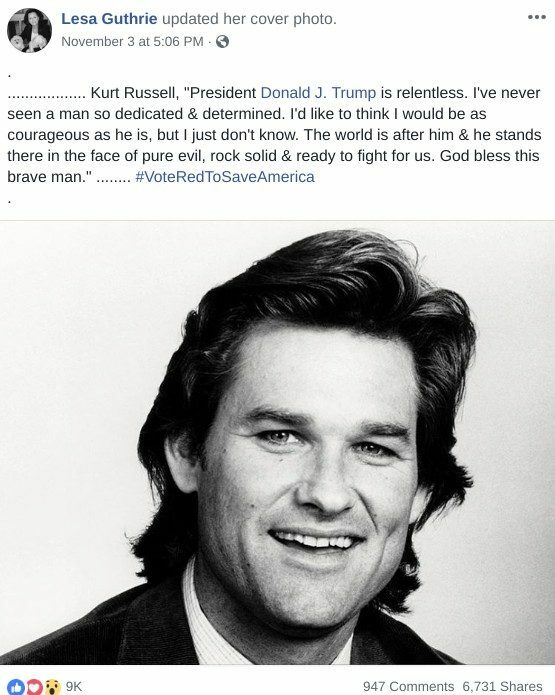 Actor Kurt Russell said that he has never seen a man as dedicated and determined as President Trump. While a number of social media accounts shared this quote, none offered any information describing when and under what circumstances Russell spoke these words. We could not find any reference to this statement in any recent interviews, profiles, or news articles about Kurt Russell. 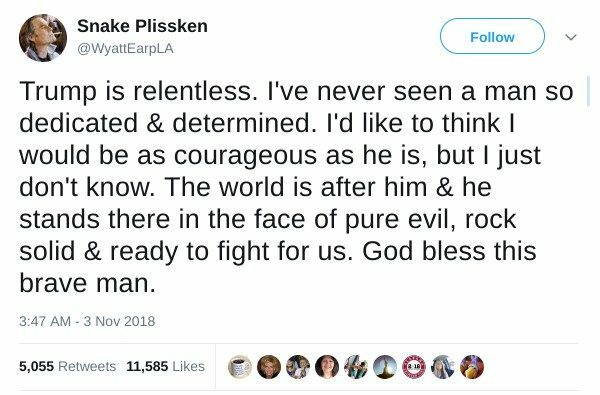 The “Snake Plissken” Twitter account did not present this quote as if it were uttered by Kurt Russell, but the account’s profile picture and handle may have confused some viewers into thinking it originated with a social media account officially associated with the actor. 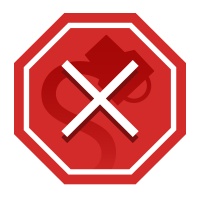 Screen Rant. 9 May 2017.